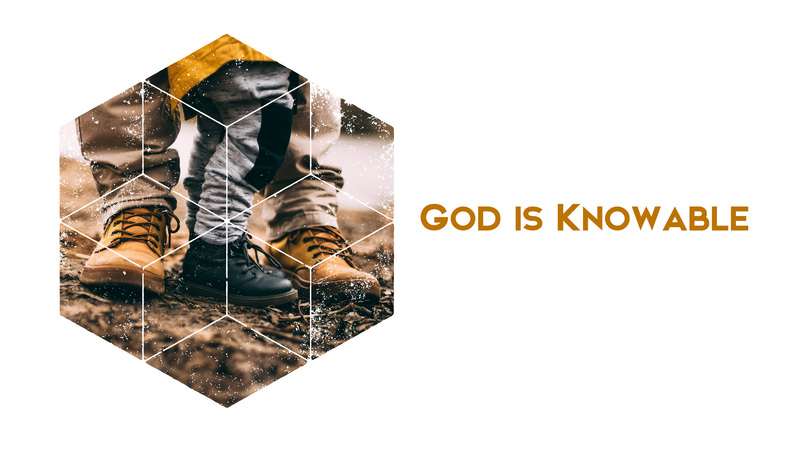 God can be known, but the only reason He can be known is because He chose to make Himself knowable. He chose to reach down and reveal Himself to us. Jesus said in Matthew 11:27, “No one knows the Son except the Father, and no one knows the Father except the Son and those to whom the Son chooses to reveal Him.” Also, Paul says in 1 Cor. 1:21, “For since in the wisdom of God the world through its wisdom did not know Him…” God makes it clear to us in His word that we do not know Him because of our own clever discovery, He is not an object to be studied and mastered by the great minds of the world. In fact, Jesus rejoices in Matt. 11:25 that God hid knowledge of Himself from the wise of the world and revealed it to little children. He is a father that is to be known and loved. True knowledge of God, truly knowing God is always wedded to love for God. The two are inseparable. Since God is infinite and we are finite, we can never fully know everything about God. Psalm 145 says that God’s greatness is unfathomable. That is not to say that we cannot truly know God, but we are limited by our finitude in how much of God we can know. While this may sound like a negative thing, it is in fact a cause for great joy for the Christian. Since God is infinite and we are not, every second of our lives can be spent in discovering the depths and the riches of God and we will never comprehensively know Him. Each new discovery and deepening of the relationship comes with new joys and wonder, and this journey never ends. You can never become bored with the infinitely beautiful, joyful, wonderful, and mysterious person of God. While we cannot comprehensively know the depth of God’s character, we can truly know Him. We can know different facets of His character through His word and we can know Him personally. Truly knowing God is not limited to memorized facts about His personality. Some mistake this studied knowledge about God as truly knowing God in relationship as Father, but it is not the case. The Pharisees knew more about God that anyone else of their day, but Jesus told them in John 8:19, “You do not know me or my Father.” So knowing God must be much more. In His prayer in John 17, Jesus says “Now this is eternal life; that they know you, the only true God, and Jesus Christ, whom you have sent.” We see here that knowing God is connected with salvation, that our relationship with God was won for us through the reconciling work of Jesus on the cross. “Let not the wise boast of their wisdom or the strong boast of their strength or the rich boast of their riches, but let the one who boasts boast about this: that they have the understanding to know me, that I am the Lord, who exercises kindness, justice and righteousness on earth, for in these I delight,” Let us rejoice that God has made Himself known to us and as the Apostle Paul, let us count all things as less than nothing compared with the surpassing worth of knowing Jesus Christ. Thank you Father that you have made yourself known to us. If you had not, we would never have found you. Thank you for adopting us as Your children and that we get to spend eternity discovering the depths and wonders of your character. Be near to us, we love you. How is knowing God and loving God connected? How can someone know a great deal of information about God and never really know Him? How can you come to know God more intimately?